Another weekend and another bread making (and soap making) undertaking! Man, my full-time day job is seriously getting in the way of my life! 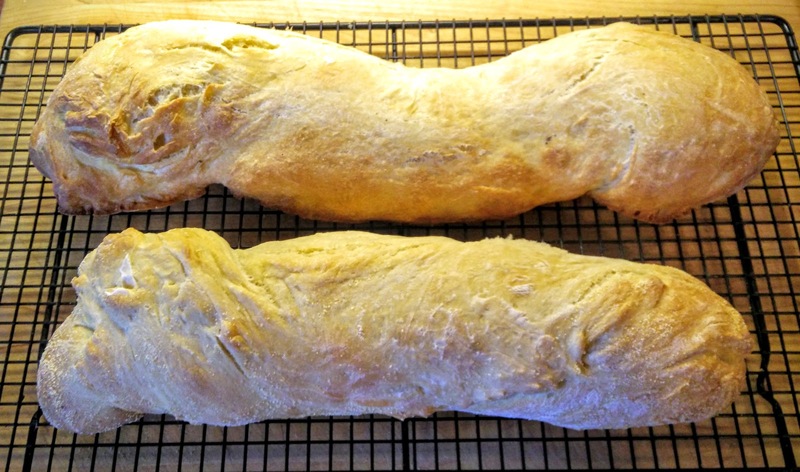 This weekend I picked another recipe in my Christmas gift bread book. 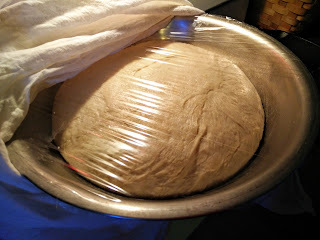 I started with making my biga (bread starter) Saturday evening. 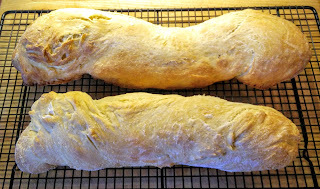 Sunday morning I used the biga and made dough for two Italian loafs. After a couple hours of rising, you can see how nice the dough was. 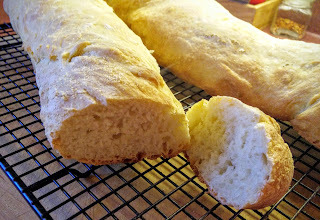 I separated the dough into two pieces and formed a batard, a shape similar to a baguette but slightly shorter. again and steamed the oven by pouring a cup of steam in a hot cast iron pan and every 30 seconds opening the oven to spray water against the sides for 3 times. I believe these loaves are my best yet! I got the nice air pockets in them and they taste divine!